YAY – you’ll have my vote. Whoops, I’m not an Aussie. Does it count if you “wannabe an Aussie? please can you be in charge of handling my media enquiries Janis ? Haha loving the names, especially Mr. Budgie smuggler! 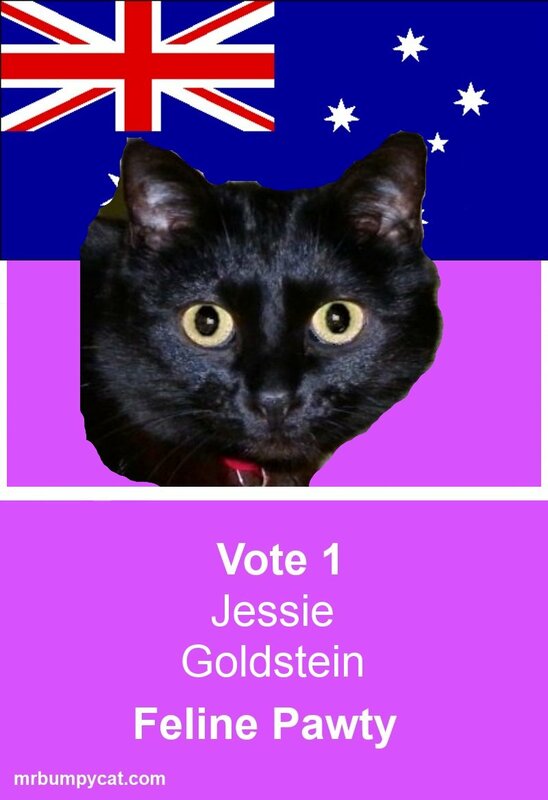 Jessie, you’re an purrfect candidate. I’m sure we’re going to win. Oh we’d TOTALLY vote for the feline CATidate! Hope your pawty wins. Then again how can you lose with all the anipals behind you.